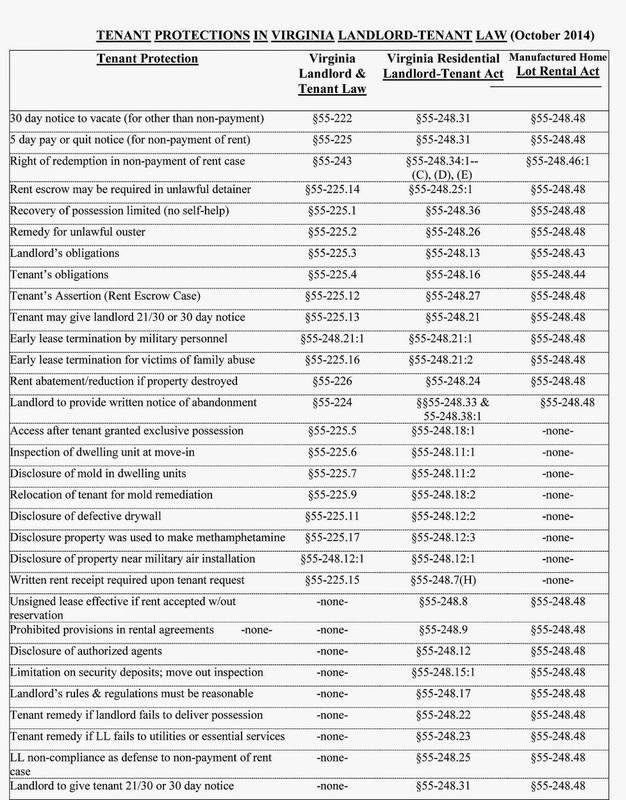 Please see the attached table that was provided by REI attorney, Ross Hart. It is a very helpful table that serves as a quick reference guide prepared by Legal Aid in Richmond that will help you find various topics in all 3 landlord guides. 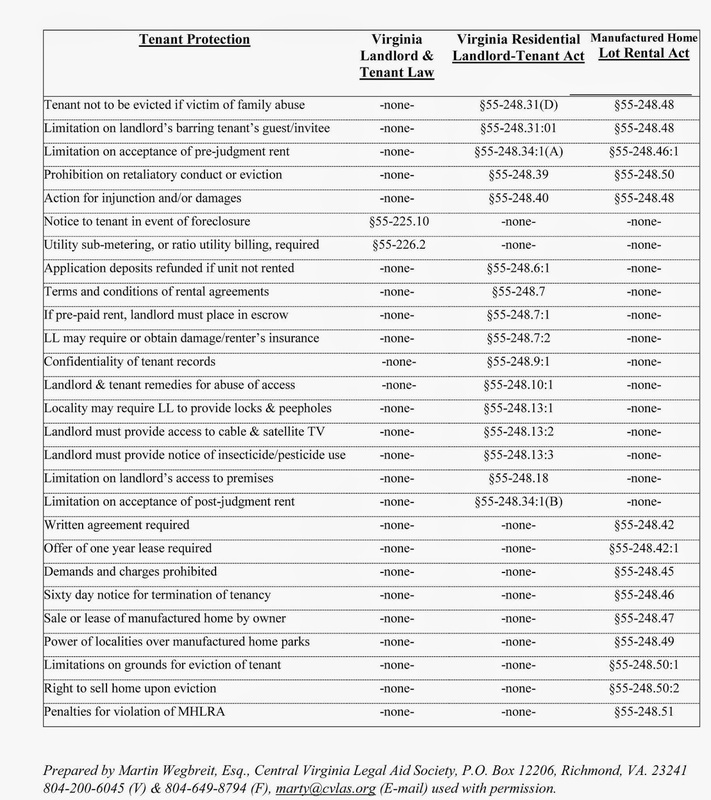 the Virginia Residential Landlord Tenant Act. The Landlord Tenant Act and the Mobile Home Landlord Tenant Act. Click on the picture and it will increase in size to see it.